As an ace manufacturer and supplier, Vacuum Tray Dryer emerges as a product that is high-on performance and comprises of well-tested design. It is suitable for drying of thermal sensitive materials easily resolved, polymerized or deteriorated under higher temperature. 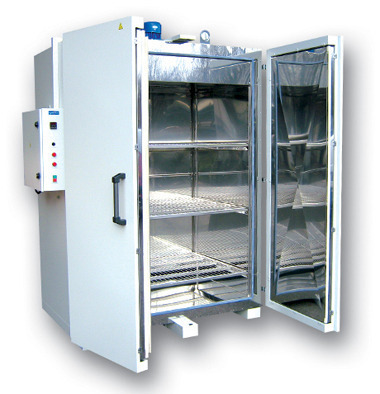 Sterilization can be conducted prior to the drying process, during which no matter is allowed to enter the product. Since our commencement in the year 2005, Ylem Energy, New Delhi , is engaged in manufacturing and supplying of Chemical Plant & Machinery. The range offered by us includes Bioreactor System, Blenders Machine and Ovens Machine. The products offered by us are manufactured using high-grade raw material, which is procured from the reliable vendors of the market. These products are known for their strong construction, longer functional life, high performance, efficiency and low maintenance. Owing to these factors, these products are widely demanded by the clients. We are supported by a team of highly skilled and qualified professionals, which helps us in catering to the variegated requirements of our clients in an efficient manner. These professionals make sure that the quality assured range of products is offered to the clients as per their specific requirements. For this, they remain in close contact with the clients to known their exact demand and offer the products accordingly. Moreover, to gain the complete satisfaction of our clients, we make sure that the products are delivered to the clients with the given period of time. To ensure this, we have maintained a large warehousing unit, which is well-connected with major transportation modes.